Katy and Taylor Haerbig have been with the PPR Team before it was the team it is today. They are known affectionately as ‘The Twins’ on the team and have a knack for getting to know the newest people as close friends by the end of practice. 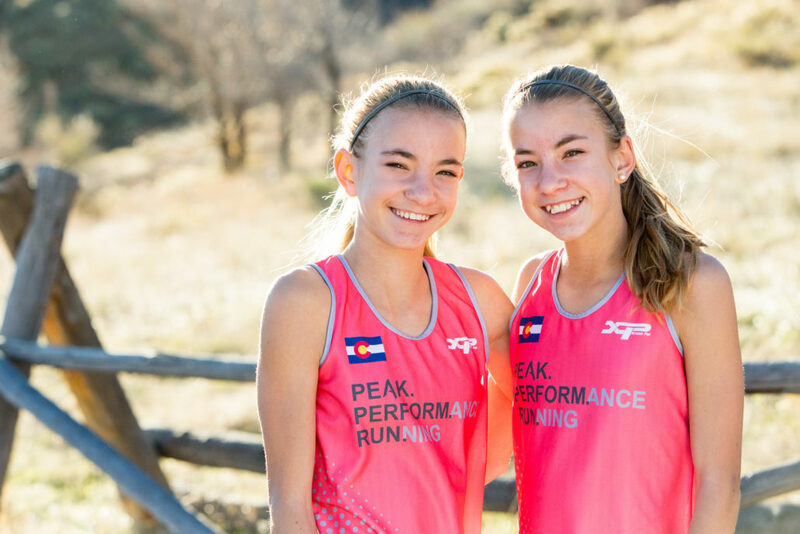 Katie and Taylor were part of our 2016 Girls 23-14 Junior Olympic Cross Country Championship Team. 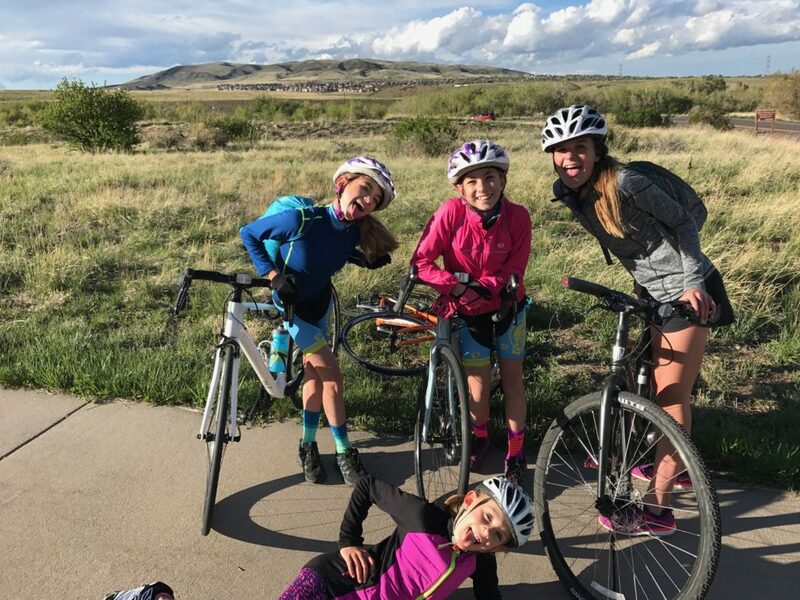 They are more than just runners and can often be found riding their mountain bikes with the GBX Juniors Mountain Bike Program, swimming with their team, or training with our youth Tri Program for local races. These two athletes aren’t afraid of working hard. With big goals, come big insights! Read more about Katy and Taylor! Give us a little background, who are you? How old are you? Where do you go to school? K:My name is Katy Haerbig. I am 14 years old. I live in Lakewood Colorado and I am a freshman at D’Evelyn High School. I have been running for three years. I started running in sixth grade to keep the carpool together because my parents could not drive us separately. T: Hello my name is Taylor Haerbig and I am a freshman in High School. I am 14 years old, and I live in Lakewood Colorado. I go to school at D’Evelyn High School, and I have been running for 3 years. I started running to keep our carpool (of friends) together, because my parents could not both drive on the same day. K: My Dad inspired me to start running. In fifth grade he was doing a 5K, the Golden Gallop, and I decided to run with him. I saw two girls, who placed well and I was very impressed. The next year, those same girls raced again and one of them won shoes for placing in second out of everyone. I was so surprised that someone my age could place so high up with all of the adult competition. 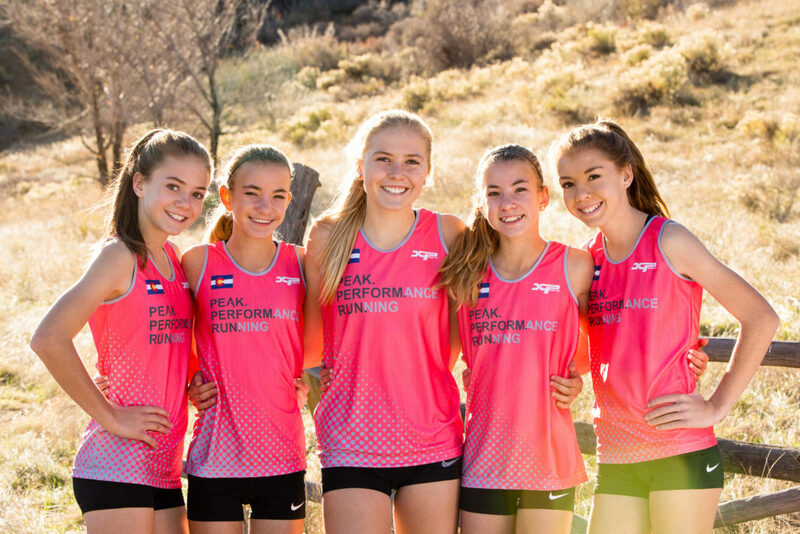 We became best friends with these girls, and in 8thgrade on the USATF Junior Olympics Cross Country Championships with one of them. T: My sister and I ran together before school every day, and together we broke the Dennison elementary school mile record. My dad decided to run in the Golden Gallop, and Katy and I also signed up. We saw two professional looking runner girls who were our age. One of those girls won a new pair of shoes and second overall. After she won, we started talking and they recommended a running team, which we later joined. Two years later, we won the Junior Olympics with that same girl and she has become one of my best friends. 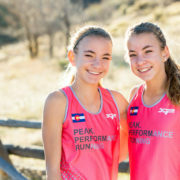 You both ran races at the Colorado Sate Meet, what events did you focus on? What set your first year apart? Interview notes: both girls qualified in 4 events, this is extremely rare – let alone doing it as Freshman. T: Looking back on the track season, I worked with my coaches (D’evelyn & Peak Performance Running) and shared that I wanted to make the State Championships in four events, the 4x800m relay, the 3200m, the 800m and the 1600m. My coaches said that they thought I could make it in the 3200m, but it would be really hard in the 800m and the 1600m as those events are very competitive, and I had to drop over 20 seconds in both the 800m and the 1600m. You both have very similar PR’s and can often be found running side by side on the track – what is that like? K:It is very nice to have someone to race with every race! Taylor really pushes me to do my best during every race. People think that it is very cool when watching Taylor and I battle it out at the finish. I always hear lots of cheering and everyone thinks it is awesome that we work together in races. It was amazing to set a school record in the 4x800m relay and then beat it again at Leagues! I felt so proud and accomplished! I could not stop smiling that day. T:It really is nice to have someone who will push me. If I am dying and start to slow down, Katy will say to me, “Taylor go now (meaning speed up) or I will leave you”. Although this may sound mean, it really gets me going and moving again. I love to battle it out with her, because she helps me sprint at the end. Thankfully, Katy and I don’t have any grudges and do not really care who wins. I was so nervous about racing the fastest people in the State, and as well how big and important this meet was. 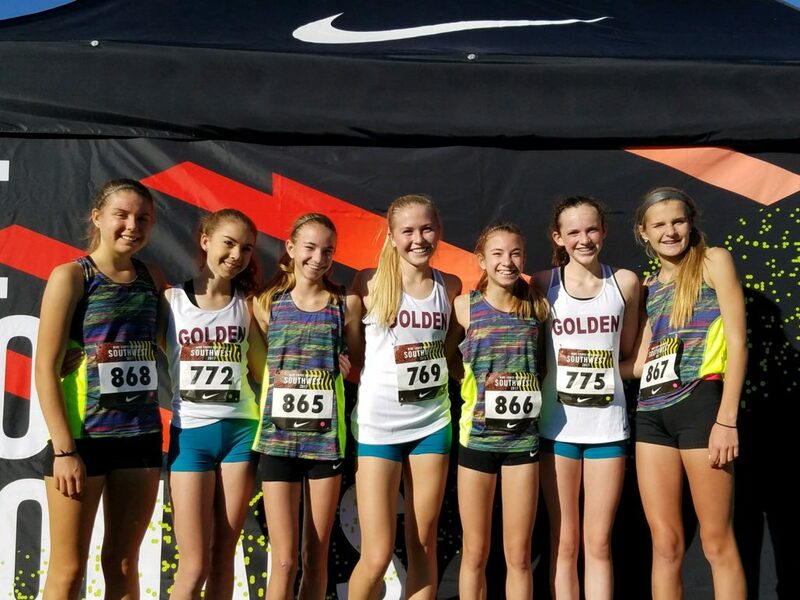 Racing at the Colorado State Meet brings some nervous energy – what did it feel like? K: I was most nervous about how big each race is at States as most of the races we ran over the season only had about 10 people in each race. But it is so nice having Taylor with me every race because she always pushes me to do my best, and help me stay calm. T: I was so nervous about racing the fastest people in the State, and as well how big and important this meet was. You’ve probably got plans for summer, tell us about them. K: I achieved more than I wanted to this track season. I was not planning on making states in four events and I am so proud of that accomplishment. My fun plans for the summer include backpacking on the Appalachian Trail, as well as traveling around California. 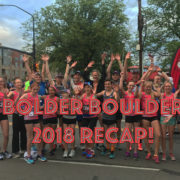 T: I plan to run in several running camps, one of which is a high altitude running camp with PPR, as well as joining a triathlon team this summer. I will also road and mountain bike with my family throughout Colorado. I am also visiting my grandparents in Maryland, which we are backpacking on the Appalachian Trail, and traveling around California with my grandma. What’s on tap for fall – what are you looking to do with your Cross Country Season? K: My plans for fall XC season are to break 19 minutes in the 5k. I will be attending Nike Cross Regionals-Southwest again! T: My goal for the XC season is to break 19 minutes in a 5K race, as well as finish in the top 10 places at State XC Championships. You should look for us at NXR!